THE AMOUNT PAID out in compensation to Gardaí for sustaining injuries after being attacked while on duty last year soared by 21% to €5.7 million. The payments under the Garda Compensation Acts also compensate the dependents of members who have died from injuries maliciously inflicted on them. Between 2007 and 2016, a total of €72.4 million has been paid out under the scheme to 1,623 recipients. Separate figures provided by the Minister for Justice, Charlie Flanagan in a written Dáil reply to Fianna Fáil Finance spokesman, Michael McGrath TD show that €1.2 million has been paid out concerning ‘miscarriages of justice’ cases along with an additional €295,000 in legal costs associated with a miscarriage of justice case. The figures show that there was €179,277 paid out last year in a miscarriage of justice case and this followed €515,000 paid under the same heading in 2016. On the compensation payments made to gardaí, the average payout to the 98 gardaí for being attacked during the course of duty last year totalled €58,163. The payments last year follow €4.7 million to 74 claimants in 2016 and €3.6 million to 63 claimants in 2015. The figures show that €4 million was paid out in 2014 where the highest payment in 2014 was €374,761. 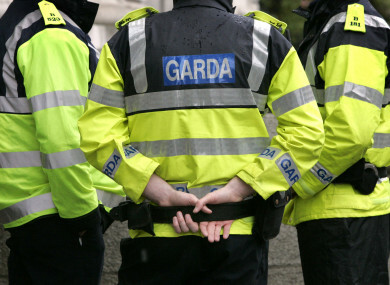 Spokesperson for the Garda Representative Association (GRA), John O’Keeffe said: “Bites, grazes, and bruising are the most common injuries suffered by gardaí, and then sprains, strains, closed fractures and open wounds. “Of even greater concern to the GRA is that these figures are vastly underreported and so misleading,” he said. “There is simply no comparable occupation where employees are likely to suffer such a debilitating range of injuries and subsequent illnesses while carrying out their normal operational duties. He said solutions are many and varied but briefly, frontline members firstly need an occupational health scheme. Secondly, he said they require body cams or worn body videos which are a vital tool in ensuring that assaults against are properly recorded. Thirdly, each garda needs to be armed with a non-lethal weapon – namely a Taser. O’Keeffe pointed out that the Garda Siochana Compensation for Malicious Injuries Bill is currently being drafted. “It is proposed that the Personal Injuries Assessment Board (PIAB) would have a role in assessing quantum where it has been established that a member is entitled to compensation,” he said. Email “€5.7 million paid to gardaí in compensation for on duty injuries last year”. Feedback on “€5.7 million paid to gardaí in compensation for on duty injuries last year”.